Speedmonkey: Stop knocking Top Gear! 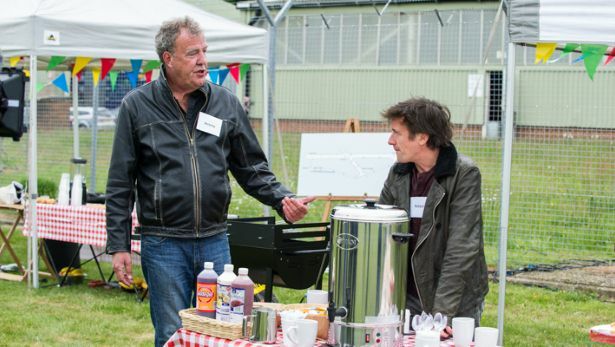 UK newspaper The Daily Telegraph has published a review of Top Gear Episode 1, Series 20. You can read it here. The reviewer confesses to not normally watching Top Gear and not being one of the target audience. "The segment that pitted these three cars against each other in a test was the only segment that elicited an unsarcastic response from Clarkson, who waxed lyrical about how the Fiesta was a classic car in the making, and about how we will remember it in future generations like we now remember the Sierra Cosworth and the RS 2000. The target audience for Top Gear is the kind of man who found that soliloquy both authentic and informative." It's not for me to criticise the writer's ability when he repeats the use of the word 'segment' but it is for me to criticise (now I've done it. Doh!) his belittling of the most authentically 'car' part of the show. Top Gear has over the years become a magazine programme featuring three strong personalities hooked around the common theme of cars. Most petrolheads like it, some don't. But we all know that television without Top Gear would be a poorer place. There are not enough automotive programmes on British TV. The Discovery channel do a decent job of providing car related content but until they hit one of the main channels none can be described as mainstream, with the possible exception of Wheeler dealers which has outgrown the channel and really ought to be picked up by someone like Channel 4. So, Daily Telegraph and other national newspapers. If you are going to review Top Gear please get someone with at least an acknowledged knowledge (doh!) of cars to review it. In the meantime I'm going to write a letter to the BBC complaining that the Antiques Roadshow is just a load of fusty old antiques and posh people - and then acknowledge I'm not their target audience, which will invalidate my complaint.